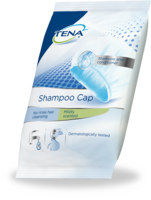 Extra softness and thickness make this handy cloth ideal for elderly skin care in combination with TENA Wash Cream or Wash Mousse for an ultra-soft feeling every day. 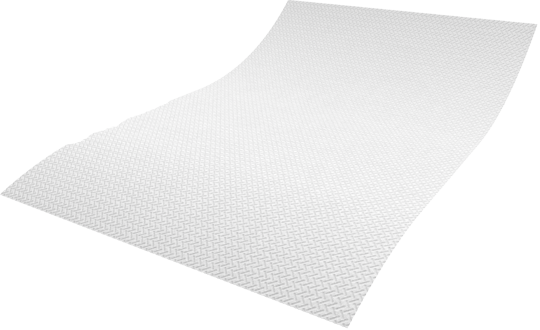 Primarily used for perineal skin care when changing absorbent products but also suitable for full body cleansing. 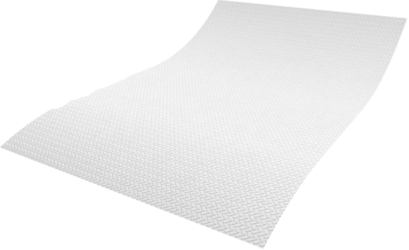 Highly absorbent and lint-free, with excellent dry and wet strength. Use wet or dry with Wash Cream or Wash Mousse for an ultra soft feeling every day. 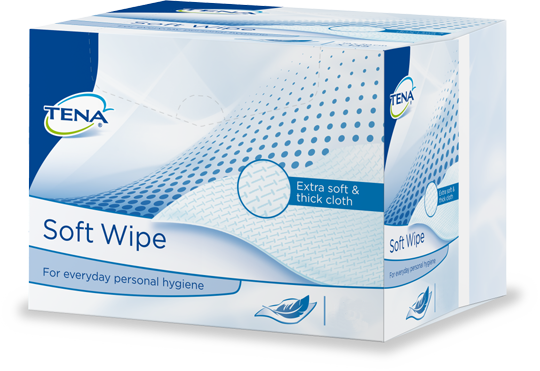 Packed in a handy box, these disposable wipes are quick and easy to use, ideal for personal hygiene. 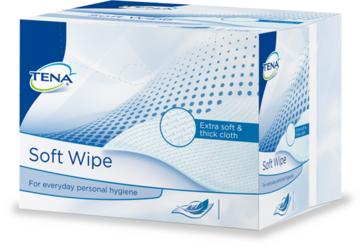 Especially designed package allows one-handed dispensing to ensure wipes and gloves are kept fresh and clean while single-wipe dispensing minimises the chance of touching the next product to improve infection control.